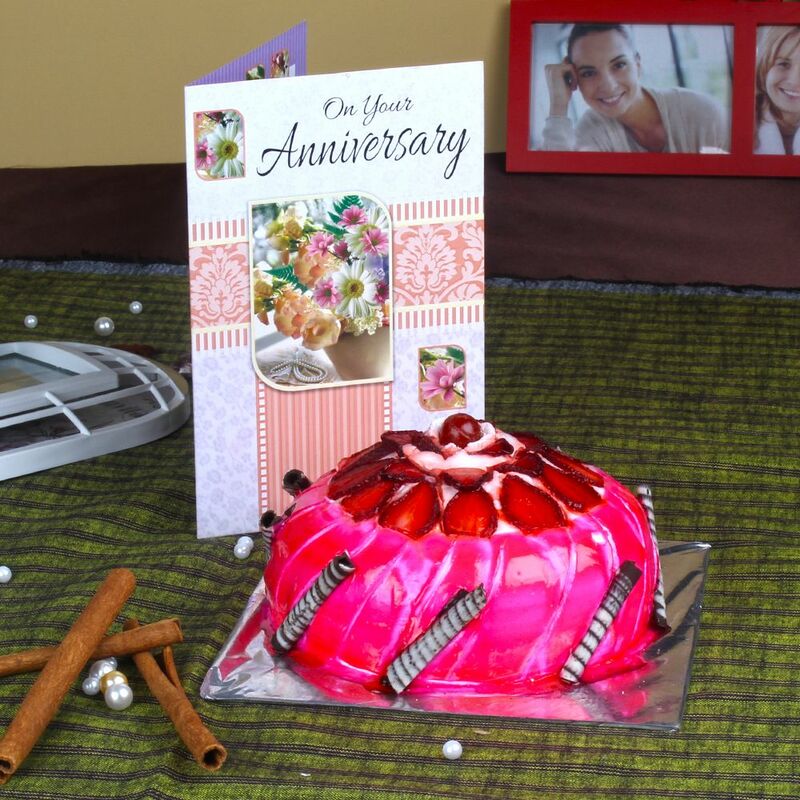 Product Consist : 1/2 Kg Eggless Strawberry Cake along with Anniversary Greeting Card. 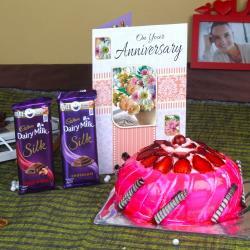 Make your receiver day special with this tempting Anniversary hamper. Baked with love, these 500 grams Eggless Strawberry cake is a sweet and delicious treat combined with an Anniversary Greeting Card with expressing warm wishes. This is a perfect gift for your wife, husband or for any family member whom you love the most. 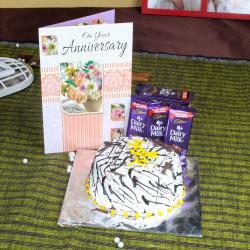 Anniversary occasion is one time of the year when time and effort needs to be invested into finding a suitable gift, and a gift that is romantic, unique, or symbolic in some special way. 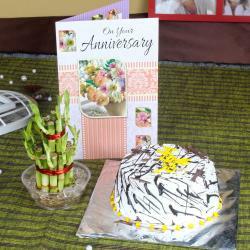 Product Includes: 1/2 Kg Eggless Strawberry Cake along with Anniversary Greeting Card.